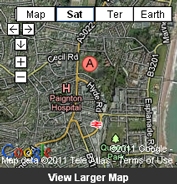 Paignton, the central town of Torbay, is situated between Brixham and Torquay and has a population of around 35,000. The town is built on a series of hills and boast a wide range of homes to suit all members of the community. 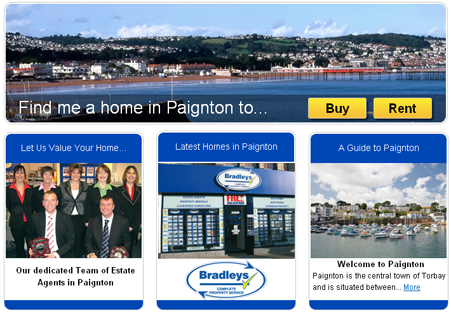 Recent developments on the outskirts of the town have provided a range of homes for young families and the growth of the town has been greatly assisted by major new developments within the Paignton area by major employers such as Nortel, Sainsburys and Safeway. Perhaps best known as a family resort, Paignton boasts many sandy beaches, a small harbour, good leisure facilities, a wide range of schools - both state and private and a Zoo of national repute. The town centre, which is connected by a main line railway station, offers a wide and varied range of shops, amenities and leisure facilities, making the area popular with all age groups.